WUTZKE: 1928- 2013 Fred H. Wutzke (Heinrich Fritz) passed away peacefully at the Medicine Hat Regional Hospital on September 2, 2013 at the age of 85 years. Fred was born on May 25, 1928 in Herbert, Sask. to Emil and Augusta Wutzke, the sixth of ten children. He attended Coxley and Herbert schools, and had many fond childhood memories of herding cattle and hunting coyotes. After graduation he attended Teacher's college in Moose Jaw, and later the University of Calgary. In 1958 he married Cora Mahan, and they both taught school in Calgary until 1960, when they moved to the Herbert area to farm and to raise their family. Fred's grandchildren were his pride and joy, and he spent endless hours following their activities. 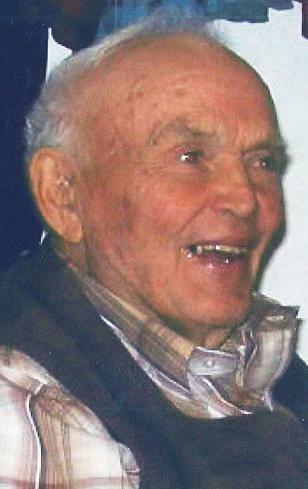 He enjoyed all sports, especially Blue Jays baseball, and was a fixture at local hockey games. Fred appreciated wildlife, and enjoyed fishing, bird watching and spotting deer. He is survived by his children Mercy (James) Laird of Swift Current, and Fred (Carol- Anne) Wutzke of Medicine Hat, his cherished grandchildren Morgan, Rebecca and Alexander Laird, and Connor and Corey Wutzke, and sister Evelyn (Max) Klotz of Saskatoon, and numerous nieces and nephews. He was predeceased by wife Cora (1986), and siblings Hedwig Albrecht (Sam), Rose Bear (Richard), William (Nina), Emil (Annie), Paul (June), Frank, Alma Schock (Rusty) and Helen Ross (Harold). At Fred's request there will be a private service. In memory of Fred, donations made to the Heart and Stroke Foundation, or the Canadian Wildlife Federation, 350 Michael Cowpland Drive, Kanata, Ontario, K2M 2W1, would be appreciated by the family. Condolences may be sent through www.saamis.com or www.gonebutnotforgotten.ca or to condolences@saamis.com subject heading Fred Wutzke. Funeral arrangements are entrusted to SAAMIS MEMORIAL FUNERAL CHAPEL AND CREMATORIUM, “The Chapel in the Park”, Medicine Hat, Alberta. Should you wish any additional information, please telephone 1-800-317-2647.